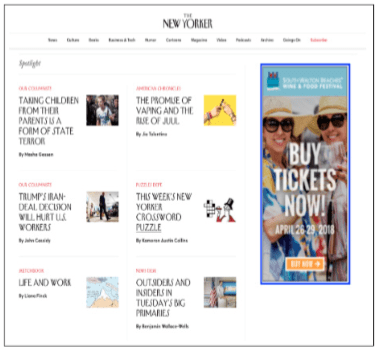 Have you ever wondered about the best way to utilize digital media to promote an event? How do you optimize and integrate your website, social media, digital and/or mobile advertising? 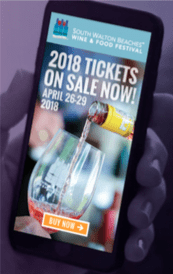 We recently implemented a strategic digital media campaign using all of these options for the South’s standout food and wine event hosted annually at our client, Grand Boulevard, in Miramar Beach, FL. Let us explain…. 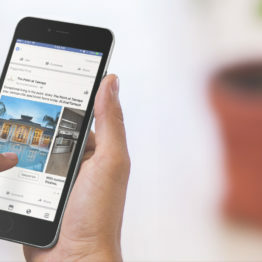 Grand Boulevard, a $500 million lifestyle town center (and a client since 2000), approached us to strategize and execute a 7-month digital campaign to promote its flagship charity event, South Walton Beaches Wine & Food Festival. This festival is the premier wine and food event in the Southeast benefiting Destin Charity Wine Auction Foundation and we are so lucky our client is the venue. Each year we market the event and have a blast doing it (and attending)! #SoWalWine offers over 800 wines, celebrity winemakers, chefs, craft beer brewmasters, and special guests plus performances by Nashville singer/songwriters and first-class wine and food seminars led by celebrities and winemakers themselves. Better yet… the all-in budget for this campaign was only $30,000. And even better yet… We’re able to use all of the device IDs we captured last year for the 2019 festival campaign, requiring a lower advertising investment! So if your goal is to sell out an event on a minimal investment, improve the bottom line year over year, and “have more money in the bank early on”, give us a call and let’s get the best plan in place for you. Email Vince to learn more and consider joining us at sowalwine.com next year! And stay IN touch! We’ve got some great stuff to share and promise we won’t cloud your INbox.